This week at Bake-Along #85, Lena has selected to bake Chocolate Raspberry Pound Cake together with Zoe, myself and anyone who wishes to bake along with us. It is a marble cake where the plain batter is flavoured with some raspberry jam. The baked cake is then brushed with some raspberry jam and coated with melted chocolate. I could not find any raspberry jam without seeds and there's no raspberry jelly in the supermarket shelves either. So I grabbed one jar of raspberry jam with seeds. I made half a recipe, and reduce the sugar slightly more. The cake is baked in a 7 x 4-inch loaf pan and took about 40 minutes to bake. I did not wait for the chocolate glaze to really set, and use it when it was still a little loose. See the chocolate glaze collected in the plate around the cake! And the seeds of the raspberry are visible, which is not to my preference. My cake turned out a little too dense, though the texture is moist. I must have overmixed the batter! Taste-wise, this cake is just OK for me, could not really taste the raspberry jam in it and if I were to bake this again, I would probably just omit the raspberry jam altogether. Combine the eggs and vanilla in a glass measuring cup and lightly beat. Combine the flour, baking powder and salt in a medium mixing bowl. With the mixer on medium low speed, pour the egg mixture into the bowl in a slow stream, stopping the mixer once or twice or scrape down the bowl. Heat 1/4 cup raspberry jam until loose, and use a pastry brush to brush the warm jam all over the cake. Combine the heavy cream, corn syrup, and chocolate in a small pot and heat over medium, whisking until smooth. Stir in the raspberry liqueur. Let stand until thickened, about 30 minutes. Spoon the glaze over the cake, smoothing it over the top and sides with a small metal spatula to cover. Let stand until the glaze firms up about 1 hour. Slice and serve. Store uneaten cake in a cake keeper at room temperature, or wrap loosely in plastic and store at room temperature for up to 3 days. For our next Bake-Along, we will be baking "Theme : Pretzels (Yeasted)". 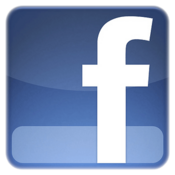 Please do join us, and link your post to our linky which will open from 3rd till 12th September. Everyone is welcome to join us! Only current post please. These Chocolate Chip Cookies were made weeks ago, though I think the name Chocolate Chunks Cookies would be more suitable as there's no chocolate chips at all, but rather, chunks of chocolate bars which are chopped to chunky pieces. The dough is mixed, rolled into logs, covered with plastic wrap and chill in the refrigerator overnight. The next day, slice the logs into disks 3/4 inch thick and bake in a preheated oven. My logs are not exactly round, as one side is flat due to the position during the chilling period in the refrigerator. The next time, I'll place them in "standing position", with one rounded end at the base (then I have to make shorter logs), instead of laying them on the side. And due to the rather chunky chocolate chunks and nuts, some of the slices fall apart during slicing, but no problem, simply put them in place and shape the slices if necessary. Place the slices 3 inches apart as they will spread a little. If you like soft chocolate chip cookies, bake them for about 10 minutes until they are very lightly brown in the centre. Since we love cookies with a little bite, I've baked the cookies for 15 minutes, rotating the trays halfway during baking time. Chunky gooey chocolate and crisp walnuts, there's no stopping at just one piece! The cookie jar was empty on the third day! 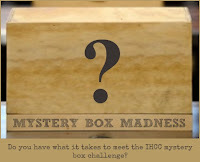 "Mystery Box Madness : August 2015", the theme for this week at I Heart Cooking Clubs (IHCC). 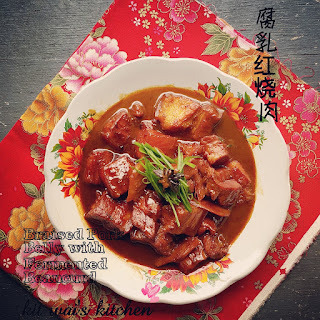 Ten ingredients are given each month and for this month, the ingredients are Any Red Fruit, Corn, Tortillas, Skirt or Flank Steak, Oregano, Heavy Cream, Goat Cheese, Pumpkin Seeds, Baby/Fingerling Potatoes and Caramel or Cajeta. 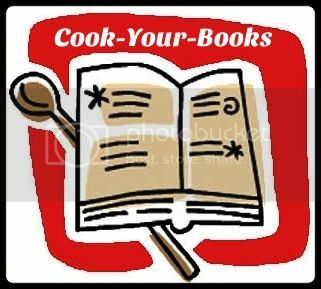 We are to select at least three ingredients and cook a recipe from any of IHCC's past or present featured chefs. Looking at the ten ingredients, with red fruits and heavy cream, I knew I wanted to make a cool dessert. The weather here is always so hot (even at midnight!) and a cool dessert would be more than welcome anytime of the day. Found this recipe from Donna Hay's website, Caramel Swirl Popsicles which uses caramel topping as one of its ingredients and single cream. I have not seen single cream being sold here before, but I do have an opened carton of heavy cream, and some leftover homemade caramel which I made for a dessert a while back. I've added some fresh strawberries to complete the required ingredients for this months MBM challenge. The popsicles are really easy and quick to make, the only thing is to freeze the empty popsicles mould in the freezer before making the popsicles. Ingredients uses 2 tablespoons of malt powder, of which I've used Horlicks, mixed with milk, heavy cream, icing sugar in a bowl and whisk until the sugar and the malt powder have melted. The caramel is mixed with a little heavy cream and then drizzle down the sides of the frozen popsicle moulds. Pour the milk mixture into each mould, at this stage I've added slices of strawberries. Insert the sticks and freeze until frozen. I had a hard time removing the popsicles from the moulds! I've tried a few methods from putting the moulds into a bowl of warm water, letting it sit for a few minutes on the kitchen counter and even holding it upside down under running water! In the end I've got to loosen the popsicles by running a thin paring knife around the insides of the mould to get them out! By that time, the popsicles are beginning to melt in our hot weather. It was 34 degrees that day! The popsicle moulds have failed me many times, this is the last time I'll be using them! I've a mission now to look for reliable popsicle moulds! Has anyone use the ones made with silicone before? Are they any better? Any recommended brands of moulds? The popsicles were getting too soft real quick, the only way is to place them in a bowl and eat with a spoon! See how fast they melted! Not that anyone is complaining! These are so yummy. The popsicles are so creamy and the tasted really amazing with the malt powder. Surprisingly even with the caramel, the sweetness is just right. And it is really nice with the addition of the strawberries. I'll be making these again, only this time I'll use ramekin bowls for individual servings or simply freeze it in a larger container. And double the recipe! And try with different fruits! Yums! Place 8 x 80ml-cup-capacity popsicle moulds in the freezer to chill. Place the milk, cream, malt powder and sugar in a medium bowl. Whisk until the sugar has dissolved and set aside. Place the caramel and extra cream in a small bowl and mix to combine. Using a teaspoon, drizzle the caramel down the sides of the frozen moulds. Divide the milk mixture between each mould, drop in some sliced strawberries, insert popsicle sticks and freeze for 4-5 hours or until frozen. Remove the popsicles from their mould and serve. Makes 8. This week's bake at Tuesdays With Dorie (TWD) is Cherry Crumb Tart. I have used blueberries instead of cherries, as cherries are really expensive over here. The thing I like about this recipe is, the pastry crust, the filling, and the streusel can be made a couple of days ahead, great if you have a busy schedule. I made them a day earlier and the next day, I assembled and baked the tart as per instructions given in the recipe. Freshly baked Blueberry Crumb Tart, cooling on a rack. I did reduce the sugar for the filling by half and I'm glad I did, as the tart turned out to be a little sweet for me, but according to my kids, the sweetness was just right. I've used frozen blueberries and I washed them under running water to get rid of any ice crystals around them as I was afraid that if I used them frozen hard, the ice would melt and make the tart soggy. Quickly dab them dry on layers of paper towels and more at the top, and use them immediately. There's an option to use either ground almond or hazelnut, and I've used ground hazelnuts. The streusel is made up of butter, orange zest, vanilla extract, sugar, all-purpose flour and ground cardamom of which I have omitted. Dorie loves her tart crust really well baked and brown. I have always baked them a little lighter, and thought that this time, I'll just follow thru the recipe for a really well-baked and brown crust. Between the two, I still prefer a slightly lighter crust. So the next time, I'll just stick to a lighter one. In terms of taste and flavour, they are both flaky, tender and crispy, but the dark crust one has a slightly crispier bite. A slice is lovely as a teatime treat. The streusel is butter and crispy. I cannot really taste the filling as it has sort of baked together with the blueberries that have got all softened up and mushy, but they seems to blend together, in a most delicious way. Of course, tender, flaky and buttery crust completes a perfect slice. To view other bakers' bake on this tart, please visit TWD. 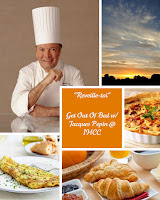 "Reveilli-toi" (Get Out of Bed), the theme for this week at I Heart Cooking Clubs (IHCC). 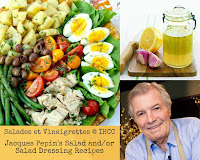 We are currently cooking from our featured chef's recipes, Jacques Pepin, and for this week it is all about breakfast. 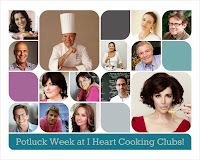 I have been missing a few weeks of IHCC themes and have been lagging behind in my blogging, due to family commitments. I apologize if I have not been visiting lately, and will visit whenever I can. I have not been baking as often as I did, and I was "talking" to my oven the other day, that how sorry I was for neglecting it, and my son upon hearing that, thought that I had gone "cuckoo"!! Haha! He knows his mommy talks to her plants, but now to the oven as well?? Gosh! I need a vacation! Back to breakfast time, and I wanted to have a simple cake for breakfast and so I made one of Jacques Pepin's. However, originally his version has plums in it and is baked in a tart pan, with the top brushed with a mixture of plum jam and brandy after baking. I do not have any plums and really wanted a plain simple cake. Furthermore, he did say that the cake can be baked as a plain pound cake, so that was what I did. 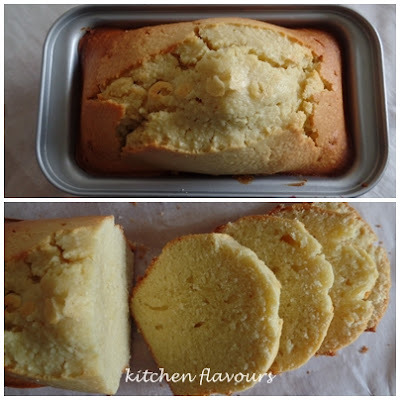 Easy and simple cake to make. The ingredients are mixed in a food processor and I've used a 7"x4" loaf pan, which turned out a little small for the amount of batter, which makes quite a tall cake! I've used my homemade rum infused vanilla bean for the extract, and the cake smells really nice with a hint of rum flavour. Cake is buttery, moist, nutty, fragrant from the rum-vanilla, and a slice is nice with a cup of my morning cuppa! For the full recipe and instructions of the original recipe with plums, please do refer to Jacques Pepin's website here. Process the flour, almonds, sugar, and baking powder in a food processor until the mixture is a coarse powder. Add the vanilla, the remaining butter, the oil, and eggs and process for a few seconds, just until incorporated. Add the milk and process for a few seconds, until the mixture is smooth. Pour the batter into the prepared pan. The ever popular Hokkaido Chiffon Cupcakes is back in Bake-Along #84. Zoe has selected this theme as our bake-along this week, together with Lena, myself and everyone is welcome to bake-along with us. These cupcakes was really popular among bloggers about two years ago. Most of you have probably baked them at least once! Well, as usual, I'm the last one to hop onto the wagon! These are chiffon cakes baked in mini forms and are filled with either custard or whipping cream and decorated with fresh fruits. The ones I made are flavoured with fresh orange juice and zest, filled with whipped cream and decorate with slices of orange. These Orange Hokkaido Chiffon Cupcakes are so delicious. 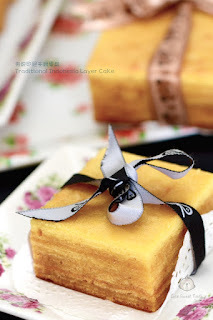 The cake is so spongy, moist, soft, fluffy and really yummy with the whipped cream. If you have not tried making Hokkaido Chiffon Cupcakes before, now is the time to try it! For our next Bake-Along, we will be baking "Chocolate Raspberry Pound Cake", (from Cake Keeper Cakes, pg 78 or here). 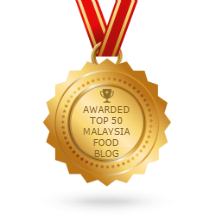 Please do join us, and link your post to our linky which will open from 20th till 29th August. Everyone is welcome to join us! Only current post please.